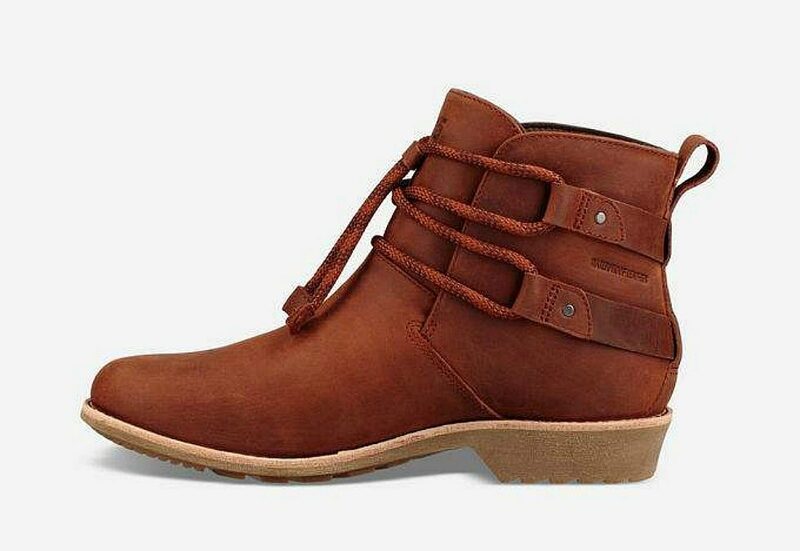 As soon as fall arrives, out come all my boots and sweaters. I love being able to wear boots, don’t you? Especially low boots. Booties are perfect for travel because they give you that boot look, but take up less space in your carryon. 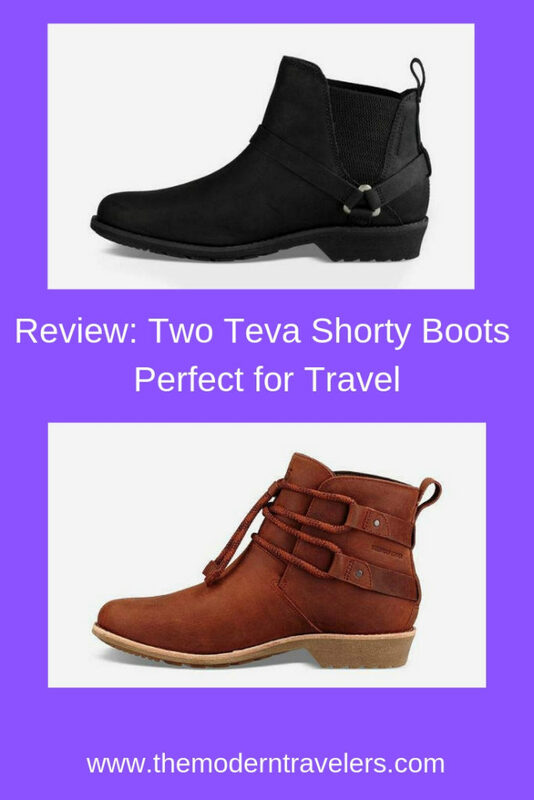 Here are two Teva shorty boots perfect for travel. 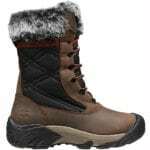 The De La Vina Boot is a cool shorty boot because it has a chunky rope lace inspired by climbing rope. 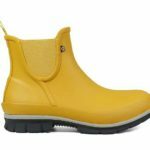 Waterproof leather keeps you dry in the rain and a comfortable sole makes these boots to wear all day. They have a casual vibe but dress up or down and work with pants, skirts and dresses. It comes in two earthy, saturated browns that are neutral and versatile. 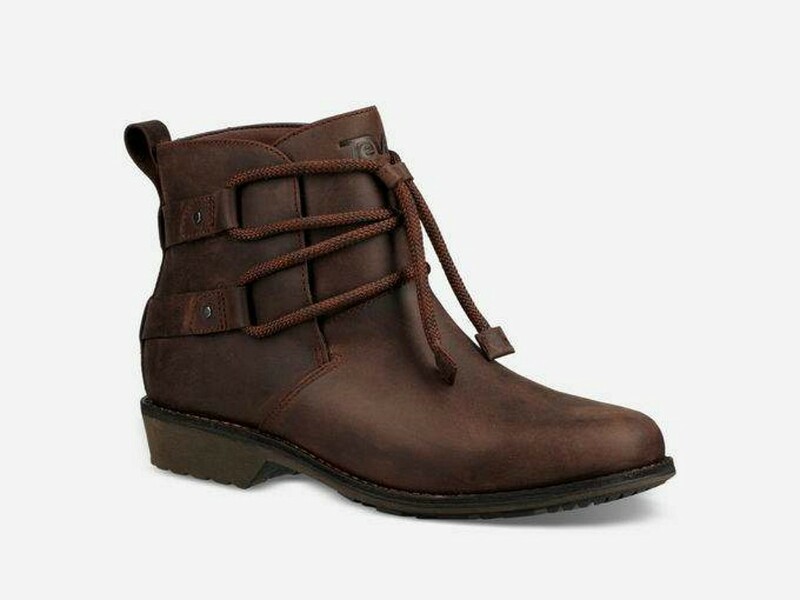 For a more urban mood, the biker boot inspired De La Vina Dos Chelsea Boot comes in brown too, but I really like this boot in sleek black. It’s great for travel because it’s comfortable enough to wear all day walking around a new city, but dressy enough to look nice out to dinner. 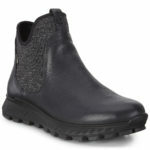 I would go horseback riding in this boot, it’s very versatile and also waterproof. Both boots, like other Teva footwear, are well made and will last forever. 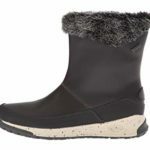 I’m still wearing Teva’s that are a decade old, I expect the same from these Teva shorty boots. 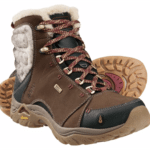 ECCO Exostrike GTX Boot Review: Yak Leather Comfort! So cute! 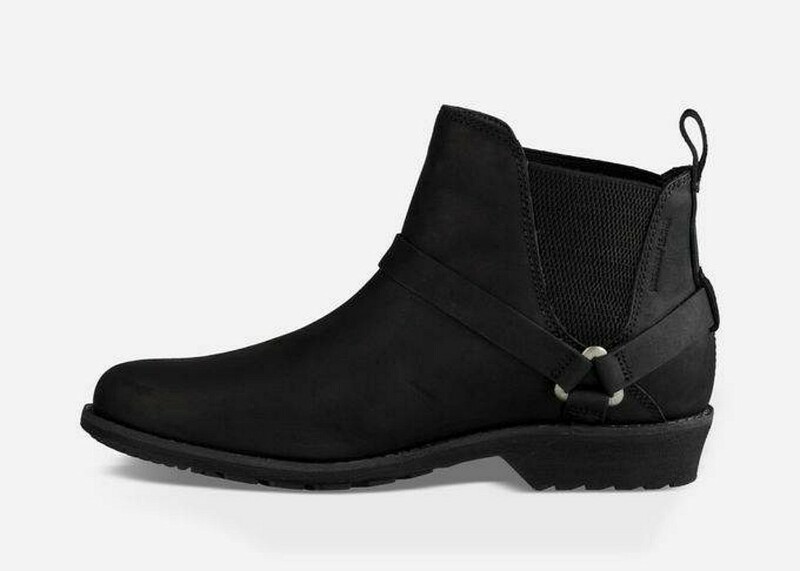 Not just perfect for fitting in your suitcase, but easy to take off at the airport too—no laces! They look like they’d also work well for someone like me who has a narrow foot. Shorty boots are the best, my favorite kind of footwear besides flip flops!